Just a reminder as Independence Day Fireworks are but hours away. Dogs and cats hear exponentially more than we do - not only volume, but frequencies we can't hear. 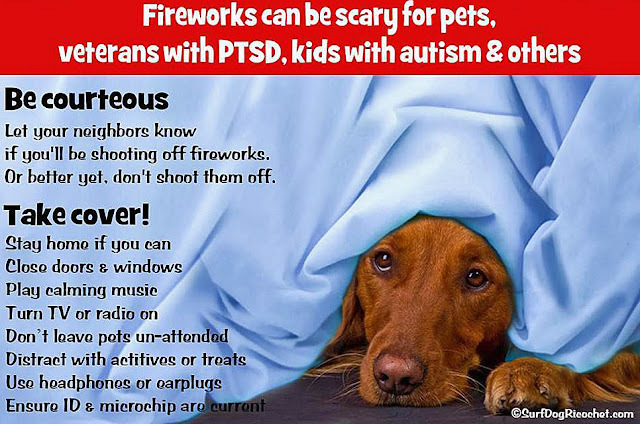 In addition, and this especially applies to neighborhood fireworks because they are so unexpected, fireworks can have a traumatic effect on veterans with PTSD. Shamanic Flute and Drum Music. This plays for two hours and is tremendously calming to both cats and dogs (and humans for that matter!). Nature Sounds and Music. This plays for eight hours and is also calming to dogs and cats. 5. 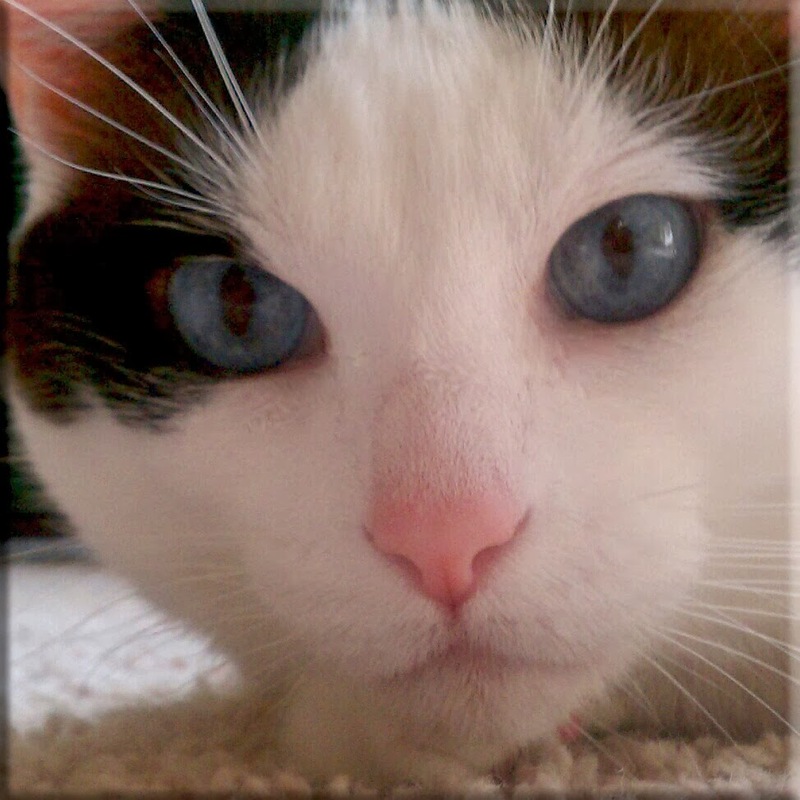 Talk with your veterinarian - if your pet is seriously stressed the vet may recommend medication or you can plan ahead and try a calming supplement such as Bach Rescue Remedy (locally, Raisin Rack carries Rescue Remedy and Bach products) or Spirit Essences. Thunder Shirts and Anxiety Wraps are results not typical for success; it just depends on the pet. The Franklin County Animal Shelter picks up more lost dogs July 4th week than any other time of the year. Heartbreaking. All lost dogs in Franklin County go to the shelter (4340 Tamarack Blvd - it's right off Morse Road next to Menard's - 614.525.3647). A huge percentage of licensed dogs in Franklin County are reclaimed. Know it's there, but why put yourself and your dog through that. While I hope you never have to reach out to these resources - PetFBI Central Ohio and Nextdoor for your neighborhood are excellent go-to's. Have a safe, happy, pet-friendly Red, White, and Bark!! Happy Birthday, America! 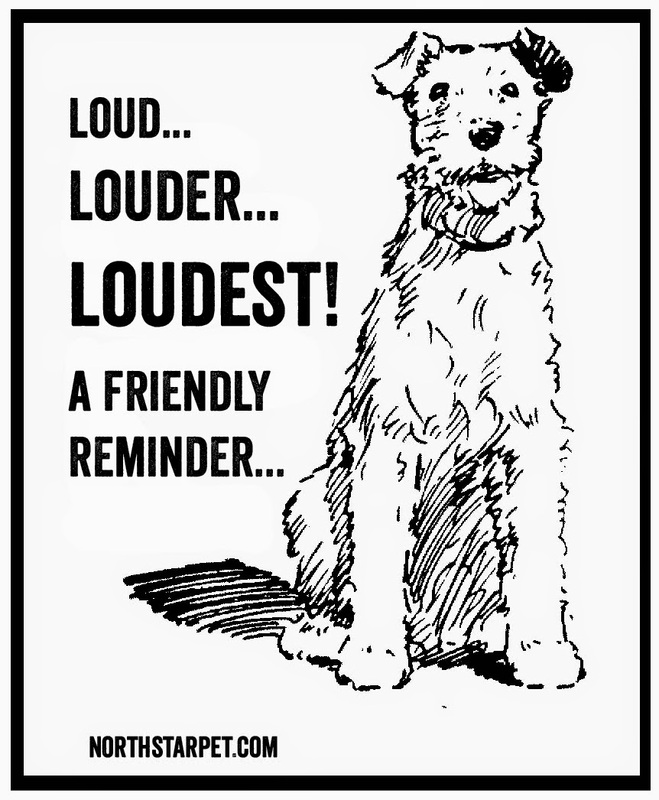 Thanks to Surf Dog Ricochet for the good advice!